Marie Bates Sweeney, Cumberland, Virginia, writes about her experiences as an Army nurse in Vietnam. 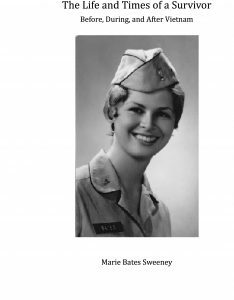 My name is Marie Sweeney, and I will be sharing my experiences in Vietnam and life after my tour of duty over there with you; but first I want to tell you a little about myself. I was born in Boston, Massachusetts, to William and Marie Bates on April 14, 1945. My dad was serving in the South PaciPic during World War II. He returned to Boston when I was nine months old, and for some time I wanted nothing to do with him as he was a complete stranger. He was hurt at first, but before very long we developed a close father-daughter relationship. He left the Army and went to work in the Boston Fire department where he remained until the start of the Korean war, when he again joined the army. 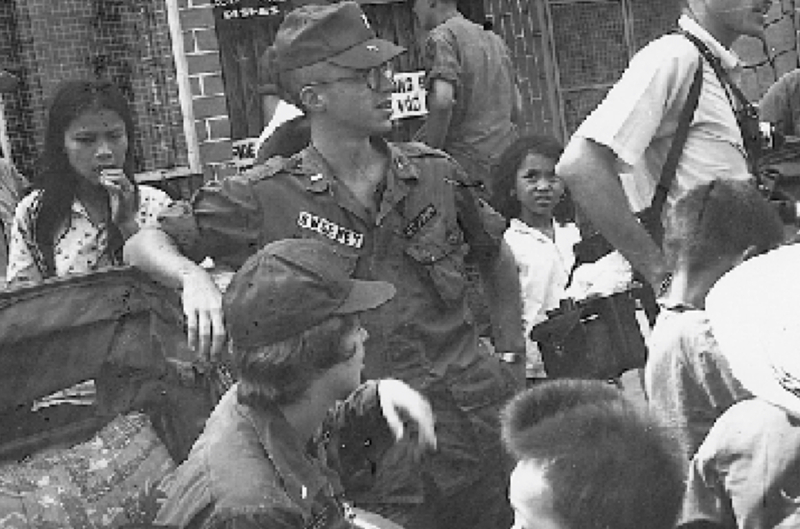 He remained in the Army for 28 years, and we traveled across the United States as well as Okinawa and Japan. He was very inspirational to me my entire life for love of country and helping fellow men. After I graduated from high school, I went to nursing school and then signed up with the Army Student Nurse Program along with several of my classmates. 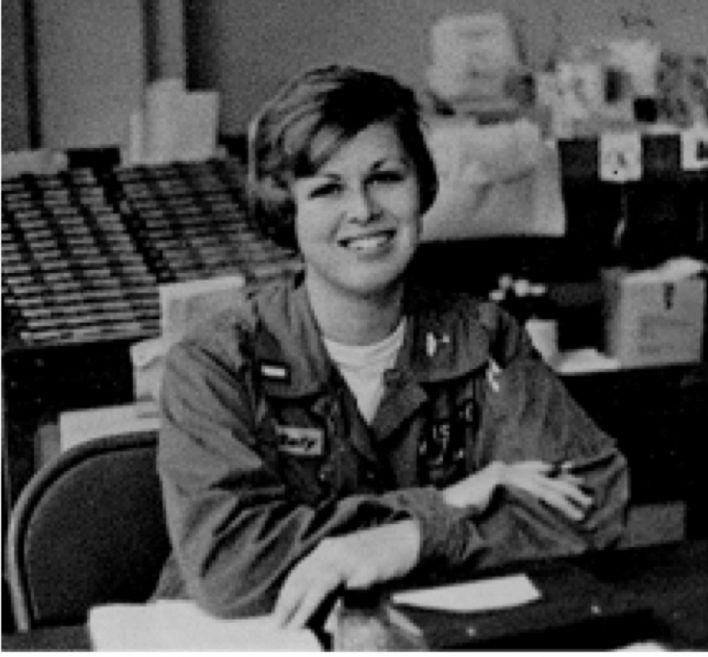 Mary was the first American woman to be married in Vietnam. She and her husband Bob Sweeney are shown here visiting a leprosarium near the 67th Evacuation Hospital, Qui Nhon. If you’d like to learn more about her remarkable career, you can reach her by writing the Home and Abroad director from our Contact page.